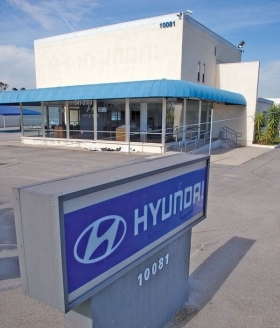 Hyundai helped dealer Jared Hardin move to a bigger store, and sales are up. LOS ANGELES -- Jared Hardin knew he had a problem in 2008 when he noticed long lines at the single unisex bathroom in his teeny Hyundai dealership in Garden Grove, Calif. But it was the kind of problem a car dealer likes to have. Because of Hyundai's fresh product lineup and brisk uptick in sales, Hardin needed a new store and a better location. Not only was there just one bathroom, but the store was in a bad part of town, says Hardin, 33. "It was run-down, built in the late '60s -- a one-car showroom." Hardin's situation is not an anomaly. 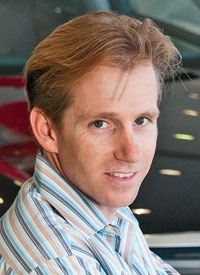 Dave Zuchowski, sales chief at Hyundai Motor America, says improving dealership images and sales processes will be the No. 1 priority at Hyundai this year. "We have the product and brand under control," Zuchowski says. "Now we have to clean up our dealerships and give our customers the first-class treatment they deserve." Zuchowski doesn't want his dealers to spend a ton of money on showrooms and does not plan to add to the brand's 780 store count. So the plan is either to acquire first-rate stores in good locations that have been abandoned by other brands or to encourage experienced dealers to purchase existing Hyundai stores. Last year Hyundai had 70 such transactions. 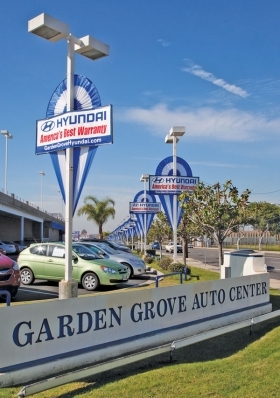 Zuchowski also cites Hardin's new Garden Grove store, about a mile or two from the old store in a motor mall that includes Toyota, Nissan, Chevy and Volkswagen stores. The new showroom is seen easily from a nearby freeway; the old store wasn't easily accessible from freeways and was the sole dealership on a strip that does not have high-profile businesses that draw a lot of customers. Hardin now has a four-car showroom -- with 15 toilets. Sales are tracking at about 1,200 annually, up from 800 at year at the old store. Hardin spent less than $10 million to get the new store, with a small amount of assistance from Hyundai. Hardin says customer traffic is up to 10 to 15 a day, compared with two to three a day at the old store. Back-shop business is up 40 percent. Hardin plans to add a separate selling area for the high-end Equus sedan, which goes on sale this fall. ... but the new, larger one is in a motor mall right off the freeway. Off Interstate 60 just east of Los Angeles is Puente Hills Hyundai, a gorgeous modern building that was abandoned first by Chrysler, then by Nissan. General Manager Cherie Watters markets the 15-car showroom as the largest and nicest Hyundai store in North America. Says Watters: "I came here from Florida and found out that people didn't want to drive Hyundai. It was an image thing. Hyundai couldn't get into nice facilities. Now dealers can match the facility to equal the product." More than half of the store's 135 monthly sales are the luxury Genesis car. Amenities for customers include free hot dogs, fruit, popcorn and WiFi Internet access. Every Saturday there are free car washes and food for every Hyundai owner, no matter where they bought their car. "It's an investment but worth it," says Watters, who has been in the car business for 26 years. Surging Hyundai has the sales, but can it buff up brand image?